Retailers: Become a Member & Register for a wholesale account/pricelist. Individuals: To locate a store near you, please email us. Based in Los Angeles, CA, manufacturers & wholesalers of prom dresses, bridesmaid dresses, and gowns for evening wear and special occasions. Dresses are manufactured in the United States, India and China. 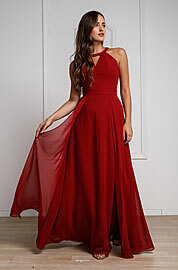 We specialize in prom dresses, bridesmaid dresses, evening dresses, formal dresses, quincenera dresses, cocktail dresses, mother of the bride dresses, sequined beaded dresses, pageant dresses. View 2019 Formal Dresses & Bestsellers! Have questions? Contact us at 1-888-216-2350 or 323-586-2000.